The Boston Consulting Group is a US multinational strategic consulting firm, world leader with 85 offices in 48 countries. Burning Flame has been responsible for design and development of two different web platforms for the IGT system (Italy, Greece, Turkey). 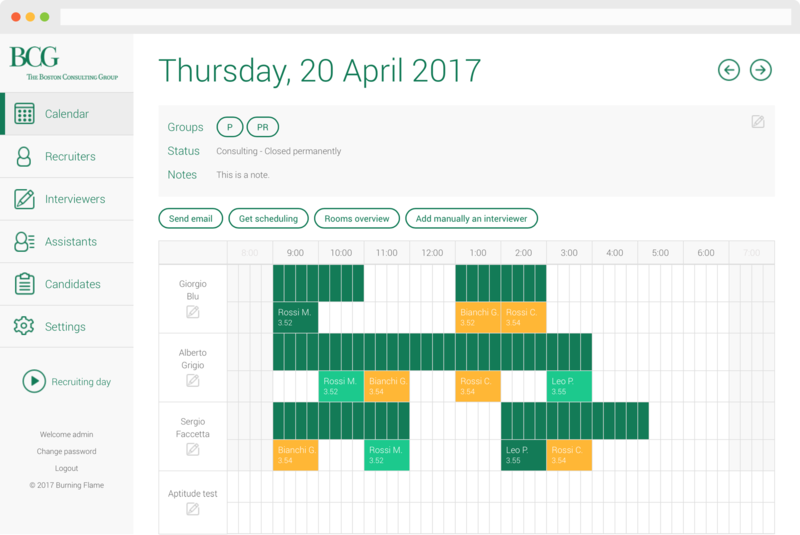 The first project, BCG Recruiting Digital Calendar, is an innovation in the management of the recruiting process. 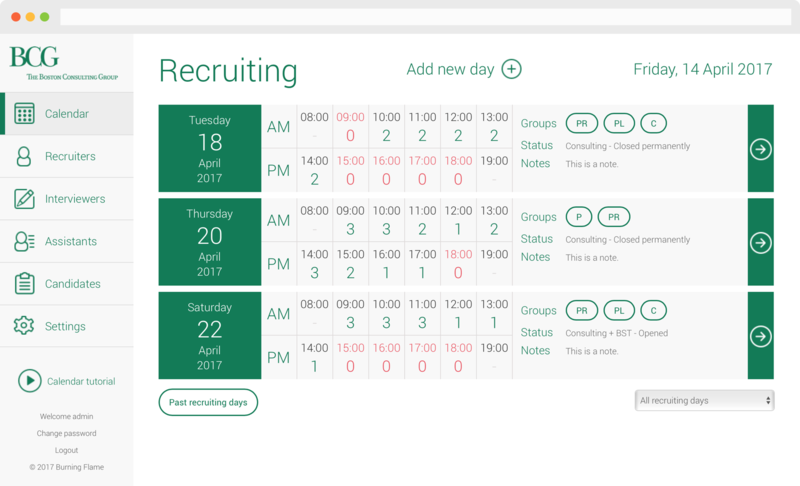 The web-app enables interviewers and their assistants to plan the slot of interviews, allowing the recruiting team to efficiently manage the scheduling of candidates. Communication between the various parts, previously managed only by email, is now handled through the web platform, ensuring integrity and uniqueness of data, delegating to email the only notification function. The second project, BCG BST Training, is dedicated to company training management. The platform shows a list of the available trainings and allows employees to subscribe. Public area is supported by a management area, through which is possible to manage the enrollments, waiting list and educational materials, as well as view dynamic reports. Both web-apps are based on a responsive framework, in order to make platforms accessible from any kind of mobile and desktop devices. Two iOS applications has been also developed, acting as a web-apps wrapper, for distribution on company devices.